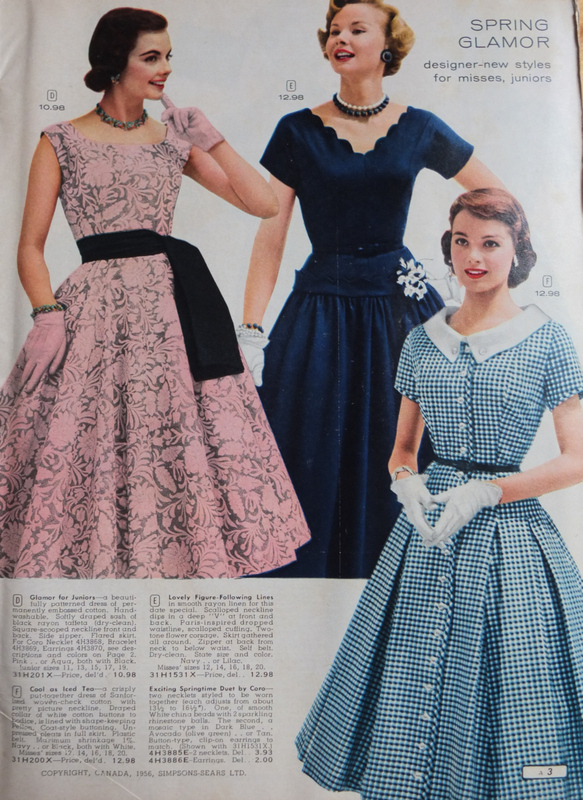 A Look at 1956 Spring/Summer Dresses | Oh, for the Love of Vintage! It’s raining, cold and dreary outside. So, I’m trying to make it sunny inside! 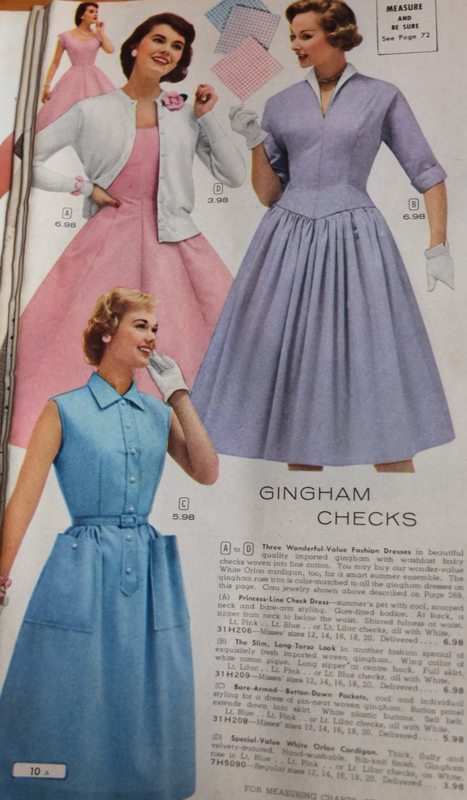 I’ve pressed some fresh coffee and I’m flipping through some catalogs from 1956 that my mother gave me. 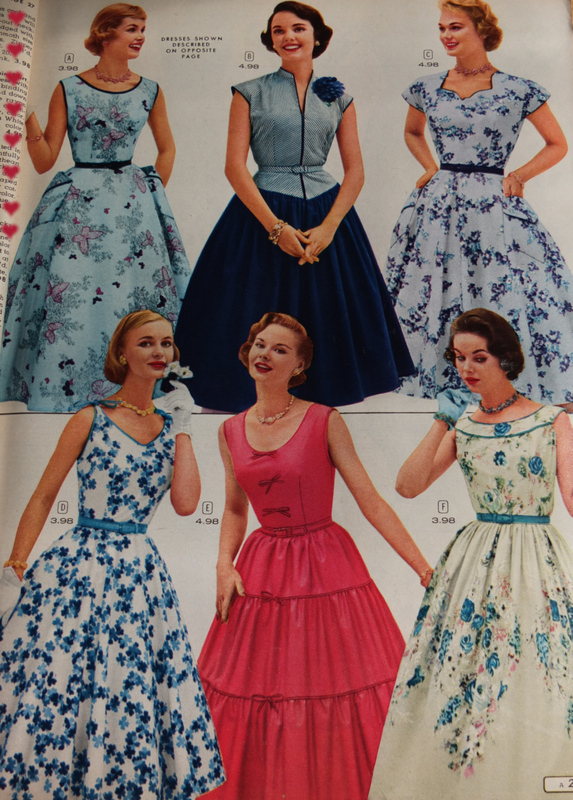 The dresses for Spring/Summer of that year were spectacular! 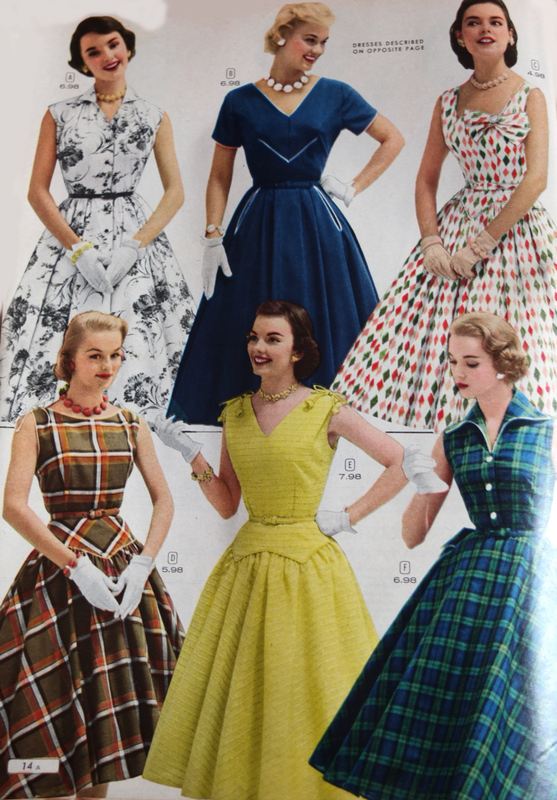 I love the bright colours, patterns, fabrics and the swing dress style. 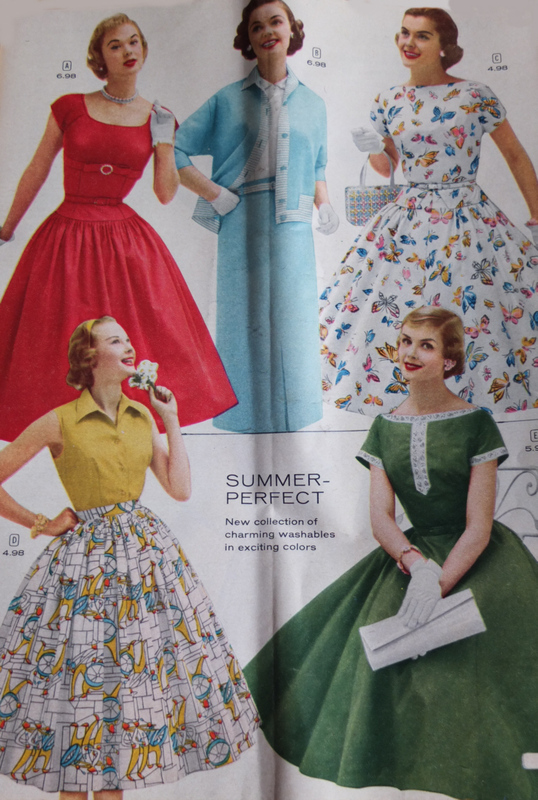 I have several 50s Summer dresses and spy a dress below that looks near identical to one of mine! 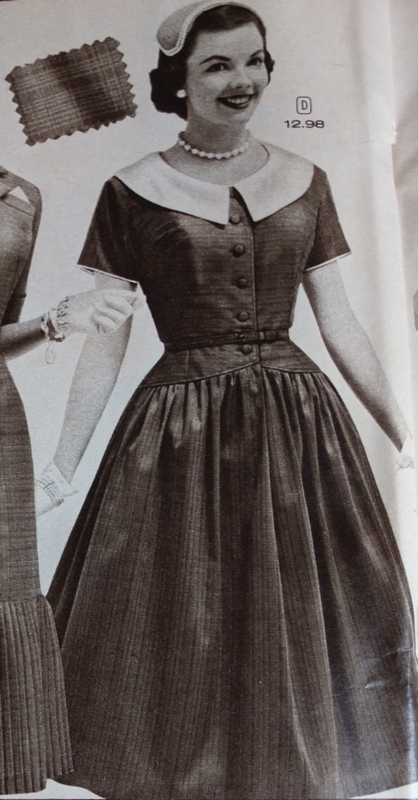 It’s the black and white striped shirtwaist dress in photo number 14. 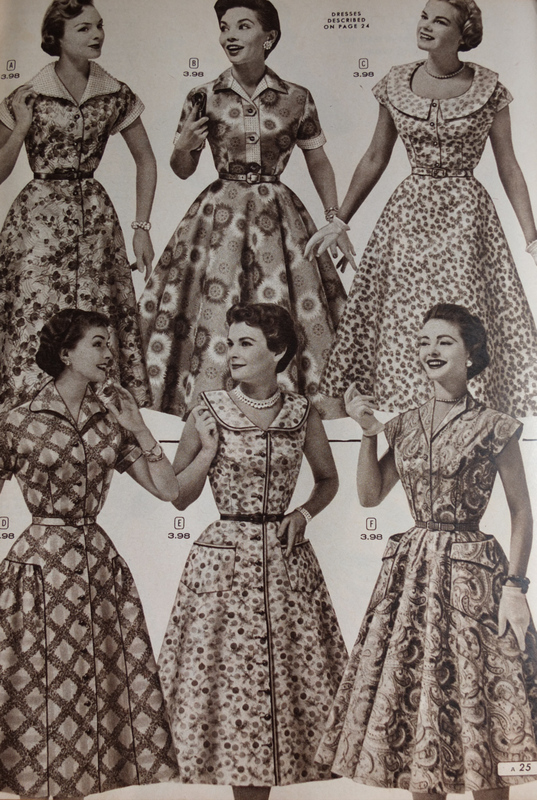 One of the types of dresses I like best for Summer is the 50s cotton day dress. They are light, airy and keep one cool in the hot, hot heat. Check out the darling ones below in photos 4, 8 and 22. Note: When you click an image below, you’ll be taken to a slideshow. If you want to see a larger version of the photo, simply click ‘Permalink’ and the large version will appear. Please note: these are all original scans. If you’d like to use an image, please link back to my blog. Definitely lovely. 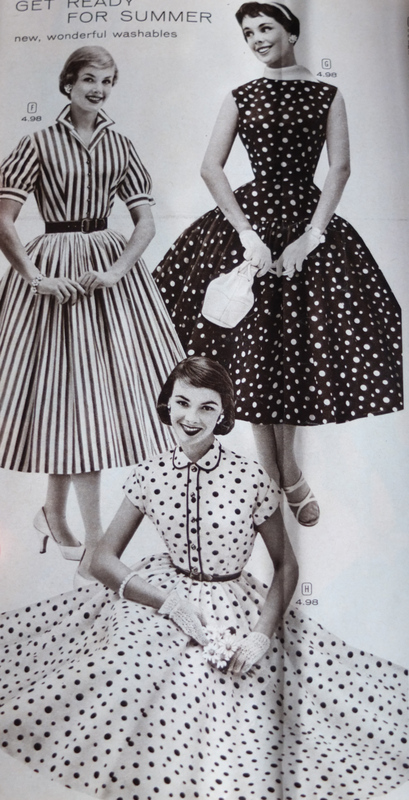 ;0 I can’t wait for warm weather so I can wear my 50s summer dresses! 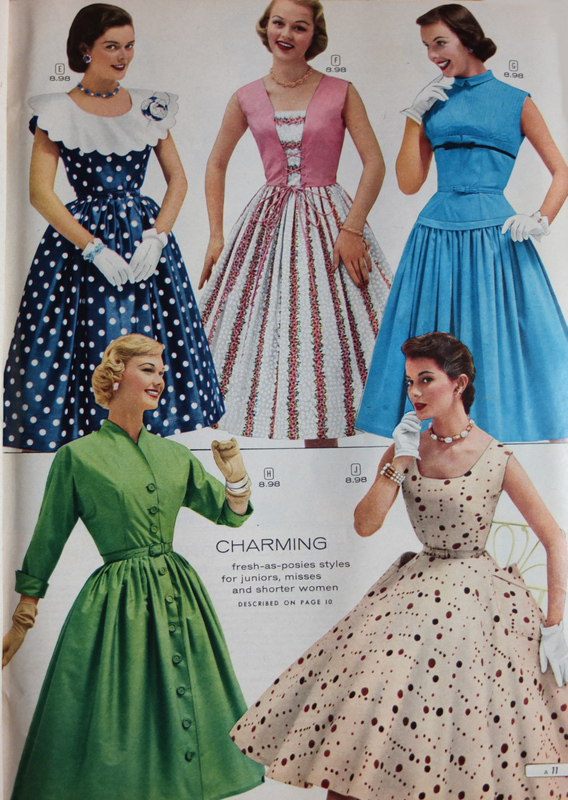 Pingback: Oh, for the Love of…1950s Shoes! 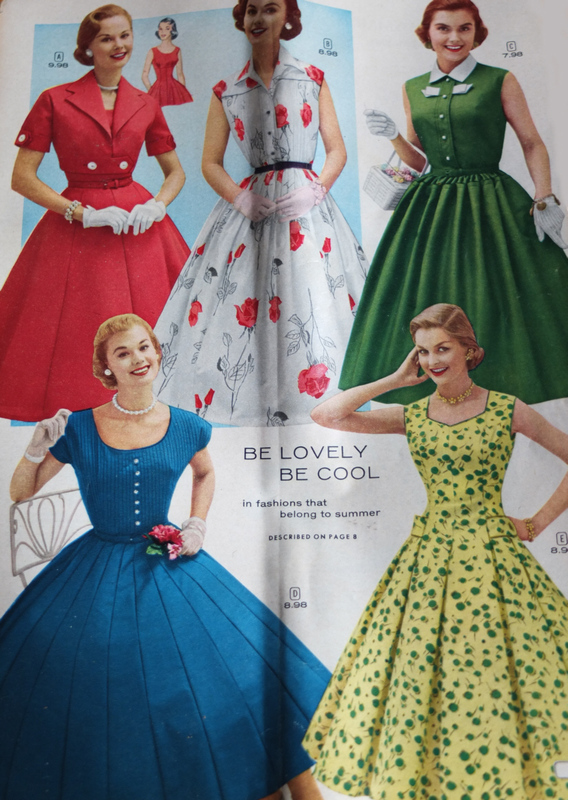 « Oh, for the Love of Vintage! 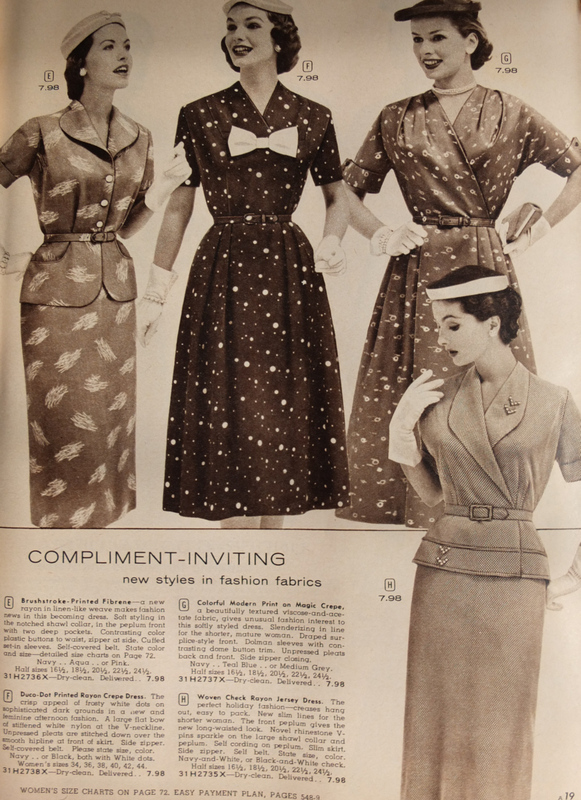 Thank you very much for your wonderfully nice comment on my vintage outfit post this week, dear gal, as well as for following me on Twitter. I really appreciate both things! 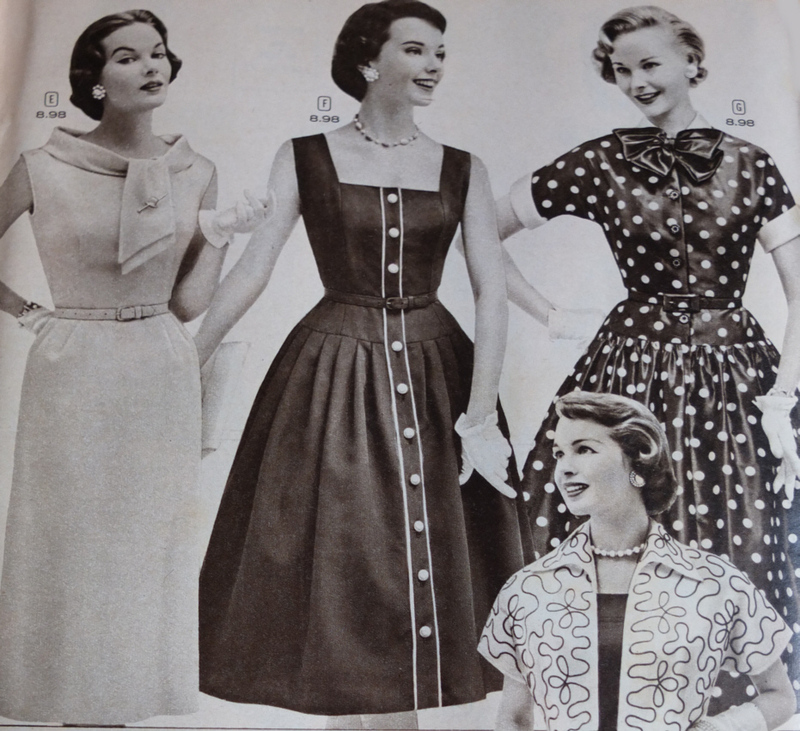 Pingback: What’s She Wearing? 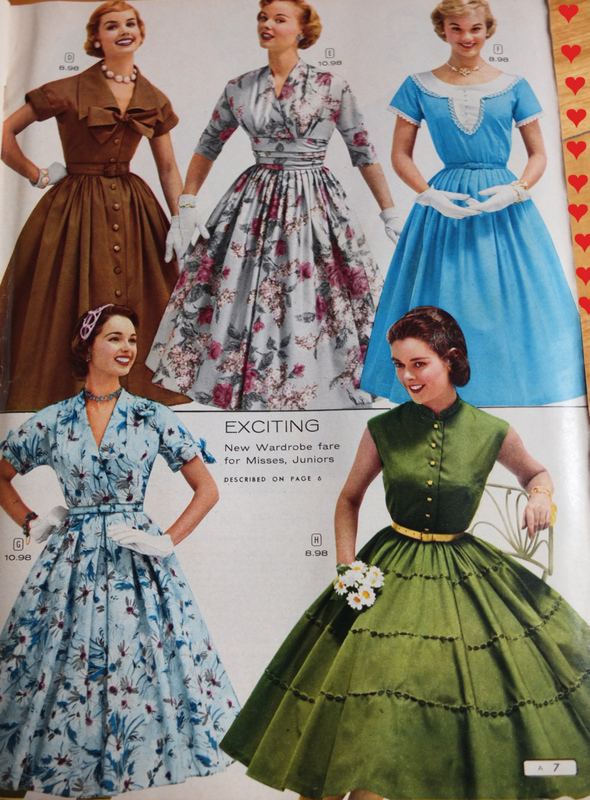 « Oh, for the Love of Vintage! Hi Ms. SmithMiller, I totally understand. 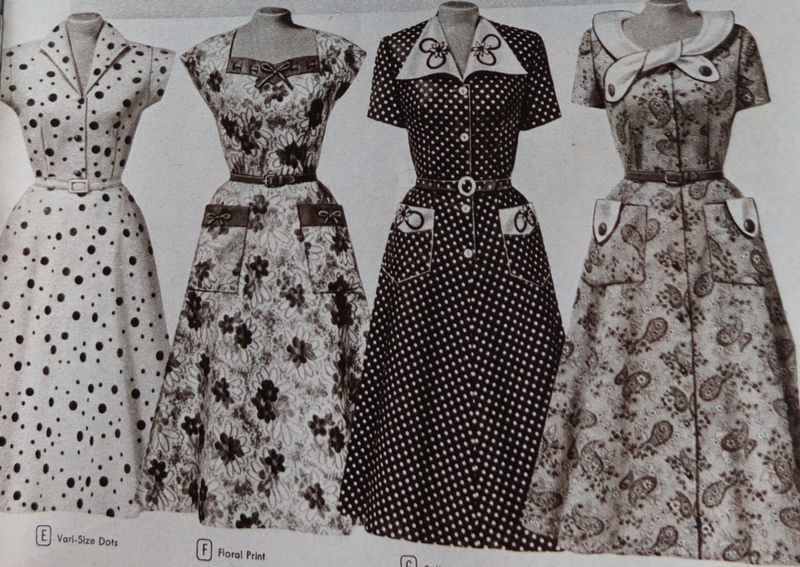 A lot of 50s dresses have a ten inch difference from bust to waist. 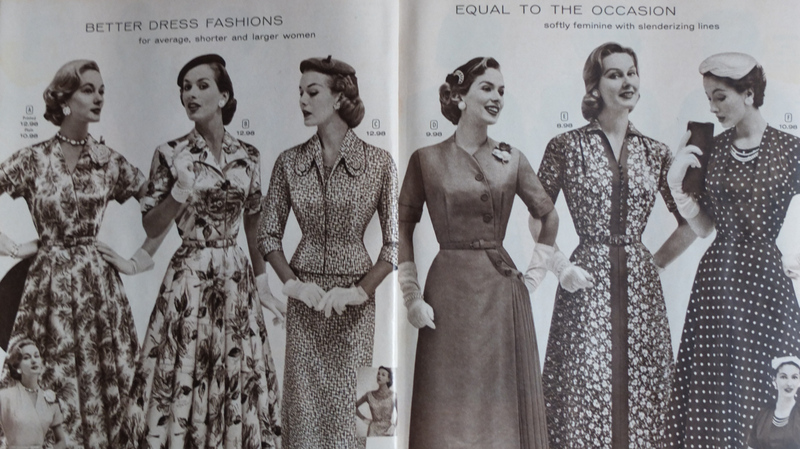 Often a dress will fit me perfectly in the bust and hips, but the waist will be way, way too small. 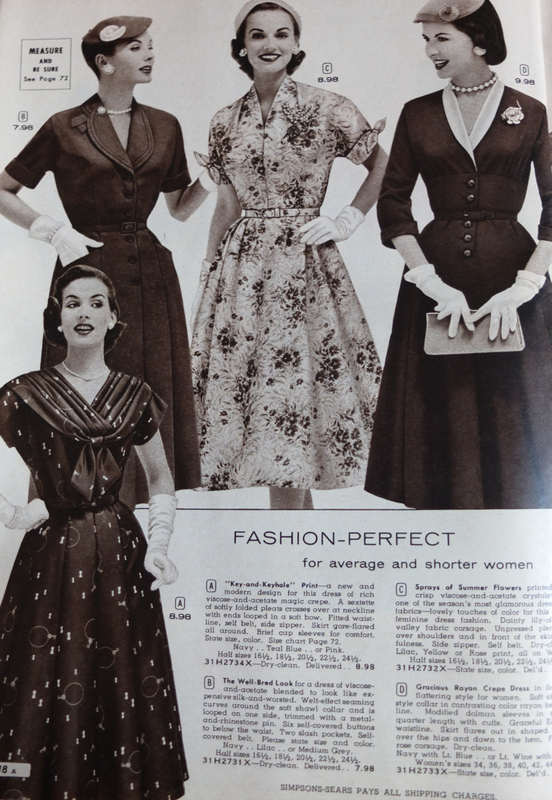 I guess that’s one reason a lot of us vintage ladies buy dresses that fit in the waist and take in the bust/hips. I just keep looking until I find some that fit right, luckily I’ve not had to alter any of my dresses! 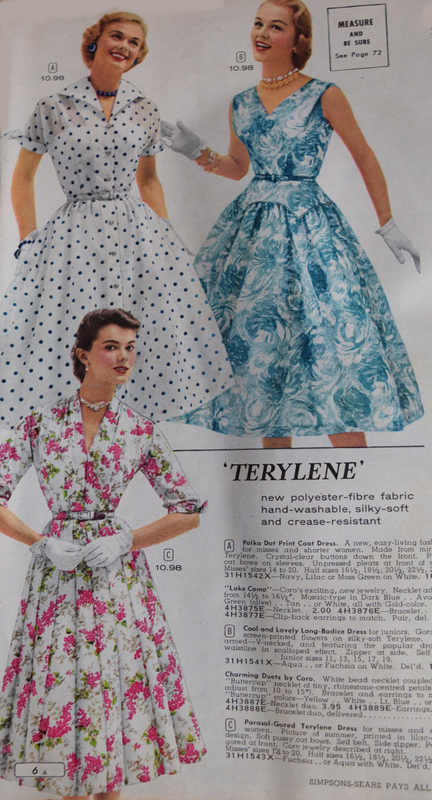 I bet your mom had a great collection of patterns. I’d love to see the patterns and results! Do you have a blog? Regarding shoes, definitely. I struggle in this area myself! LOL! I’m more a reader than I am a (blog) writer. To give you an idea, I start teaching in less than 30 days & I still have to start cracking on my lesson plans! 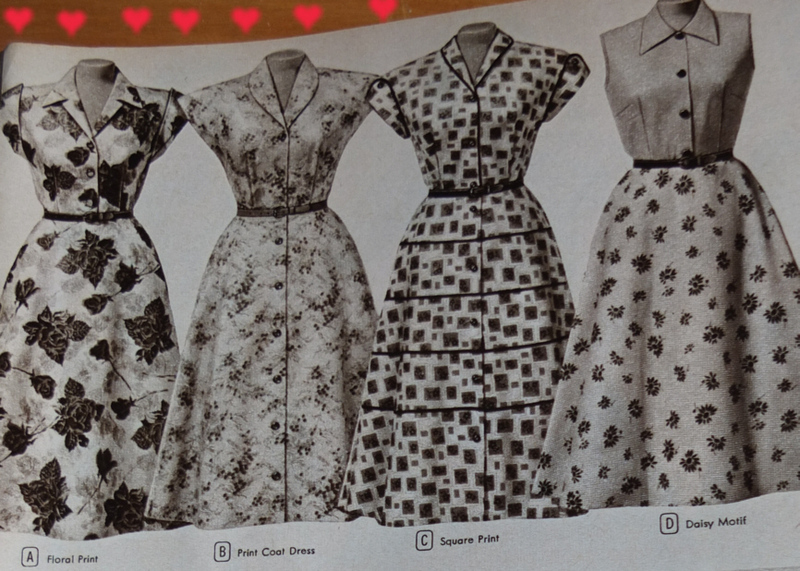 In June I got wild on the sewing machine for my daughter ~ some store bought patterns & some original designs. 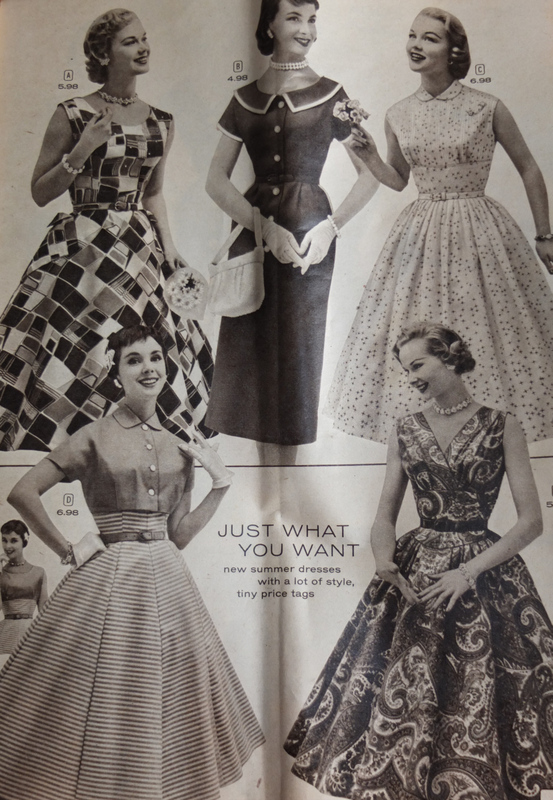 I think I will have to break away from sewing very soon as I have A LOT of back to back orientations/seminars/meetings over the next four weeks. How would I include a scanned image of what I’ve created for you to ooooo & ahhhh over? Sending lots of questions your way…. 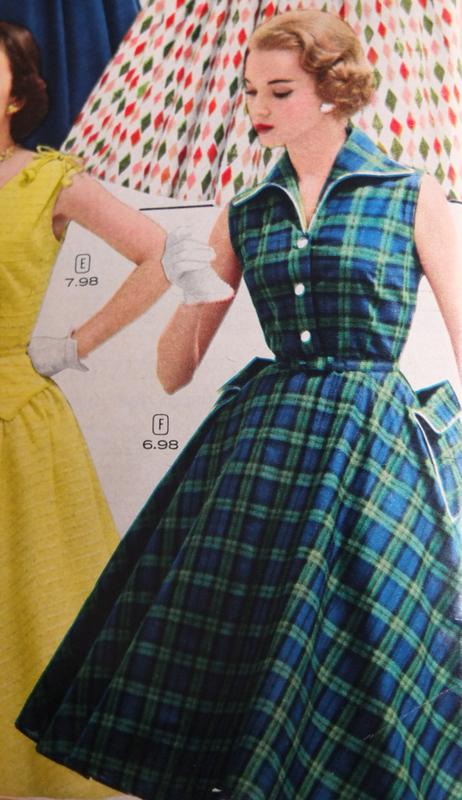 I am looking for a dress made back in 1956 for a 60th birthday party in March 2016.